Speaking at the Opening Holy Eucharist of the St David’s Cathedral Festival, Canon Mark Soady claims music brings us closer to our creator God. St Augustine of Hippo is reputed to have said, ” He who sings prays twice”, although some scholars dispute he ever said that what is certain is that singing is a method of worship appointed by God, for since the beginning of creation that ability to sing was in our hearts. A late medieval German Benedictine Abbot, Johannesburg Trithemius portrayed Raphael – traditionally the Archangel in charge of healing – presiding over the popularisation of music. In our own day and in our own land dozens of organisations are harnessing the healing power of music: charities like Music in Hospital, which employs professional musicians to sing and play for people who are sick; Tenovus, the cancer charity, which has formed choirs for people who have suffered or are still suffering from cancer; the Forget-Me-Not Choir, for people living with dementia; and professional Music Therapists, who use music in one-to-one sessions to treat a wide range of mental as well as physical illness. The music psychologist, Dr Nigel Marshall says, “Music is becoming an increasingly important part of healthcare and there is a growing body of evidence to suggest that taking part in, or experiencing music can have significant benefits on our overall level of wellbeing”. The Book of Acts records that at the Ascension two angels asked the Apostles after Jesus had ascended “Why stand there looking up?” I think we all often metaphorically stand and look up / look for the other. We all search for a glimpse of heaven, and what is more music gives us that glimpse. In the Book of Revelation we read that around the throne of God there is singing day in day out. It is because of that St Benedict calls on his monks to pray 7 times a day, and why this and other Cathedral Churches have the daily reciting of the offices. Nearly four years ago I established a new Monastic Community at St Mary’s Priory in Abergavenny. We follow the spirit of the rule of St Benedict because the Priory was established in 1087 as a Benedictine Institution. Four times a day we meet to say the offices, but I became aware that something was lacking, we often failed to reach ‘the other’ so this Academic Year we designated one of the lay members as responsible for music and in recruiting targeted a young musician. The presence of the Concentor (as we call him) has transformed our worship, such is the place of music in the worship of God. On Monday night last, some young people spend a pleasant evening enjoying the music they love, but that enjoyment was literally brought to earth with a bang. The bang of a terrible explosion caused by a person or persons who are very sick. Those involved would have come down from feeling like they were in heaven to feeling like they were in hell. We need to use those glimpses of heaven that we experience to work hard to ensure that God’s will is “done on earth as it is in heaven”, so that we’d can bring true peace to the world, so that there will be no acts of violence or terror like we saw this week. In thanking God for the gift of music and for the glimpse it gives us of heaven, we must also commit to use that gift of music so that we can show others something of God…..and thus fulfill our Lord’s last command to “Baptise all nations in the name of the Father, and of the Son, and of the Holy Spirit”. It will be good to welcome back Richard, Bishop of St Helena as our Celebrant & Preacher for the 11am Pentecost Sung Eucharist. 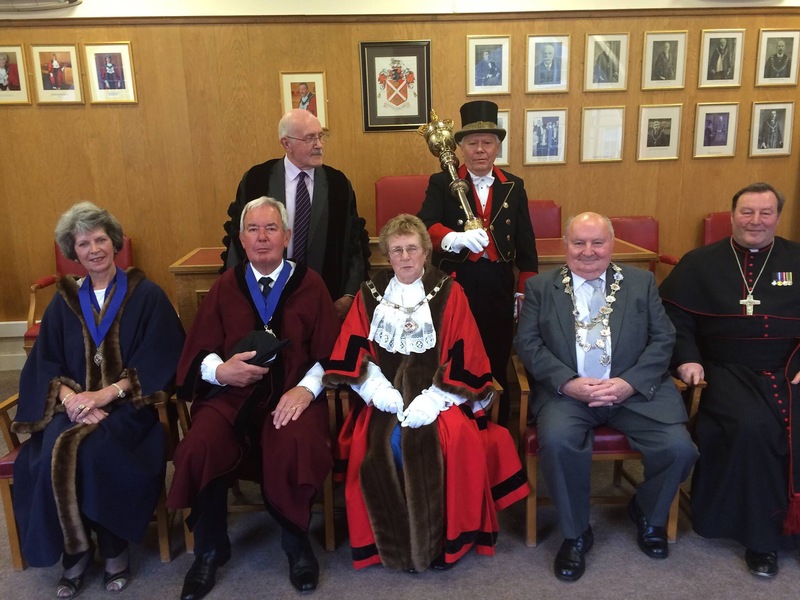 Our Congratulations to Councillor Maureen Powell on her election as Chairman of Monmouthshire County Council, for the second time. Cllr Powell last served as Chairman in 2012/13. 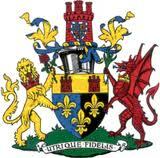 She has also served as Mayor of Abergavenny. She has asked Canon Mark Soady to serve as her Chaplain. This will be the third time Fr Mark has served as the County Chairman’s Chaplain since moving to the County in 2012. The Chairman’s Civic Service will be held at St Mary’s Priory on the afternoon of June 25th, that will be the only Service at the Priory that day. Bishop David’s body will lay at rest at the Priory overnight prior to the service. 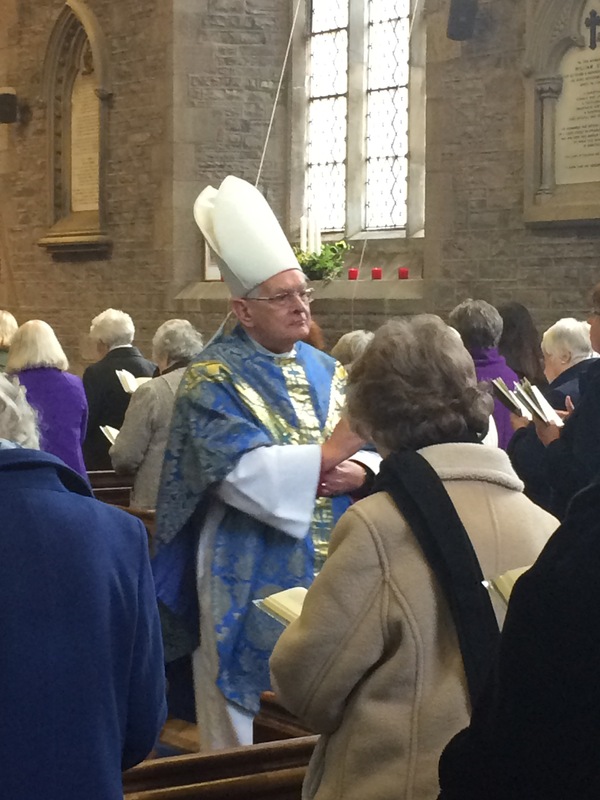 We are sorry to hear of the sudden death of Bishop David, who during his ministry as Provincal Assistant Bishop lived among us in Abergavenny. Canon Mark Soady was among the first cadre ordained by Bishop DAVID, on hearing the news he said. We have lost a great source of wisdom and a man with a great pastoral heart. 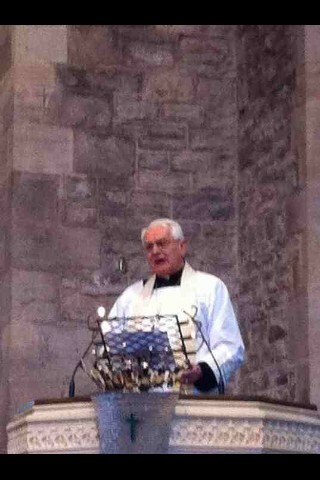 He shall be sorely missed by the people of Abergavenny who had a great fondness for him. Our prayers are with Rosemary and the family at this time. He celebrated the twentieth anniversary of his Ordiantion as Bishop at a service in the Priory last December. We will pray for his soul at the Friday’s All Souls Mass at 8.30am today. The Ascension Day Mass will be celebrated at 6.30pm in the Holywell Community Garden on May 25th. There will be no celebration in the Priory Church that day. The Celebrant & Preacher will be the former Bishop of Monmouth, Rt Revd Dominic Walker OGS who is celebrating 20 years in Bishop’s Orders this month.